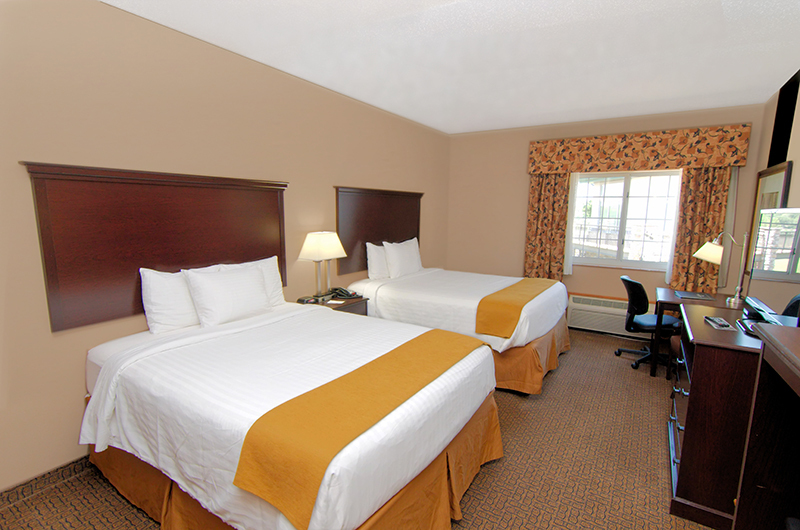 Welcome to the Boulders Inn & Suites hotel in Denison, IA. 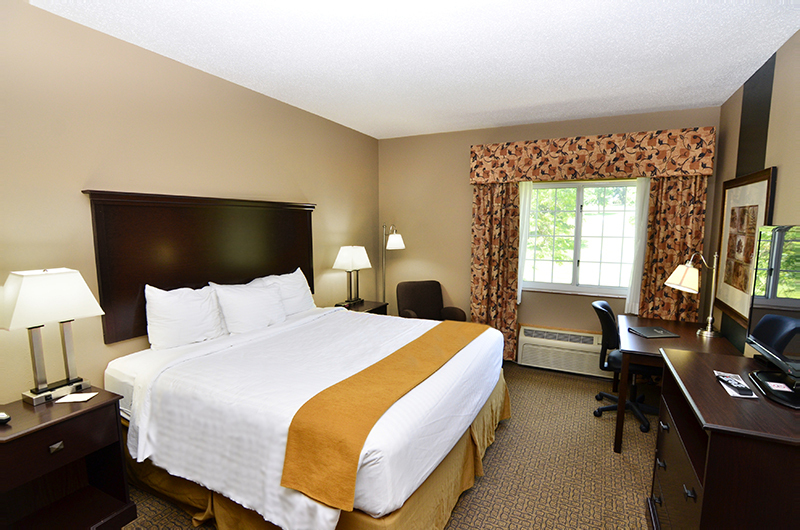 Our Majestic Hills location is a comfortable, clean, and convenient hotel in SW Iowa, minutes away from downtown Denison. Guests enjoy golfing, shopping downtown, or taking time to enjoy the trails of Yellow Smoke Park. The Majestic Hills location is the original Boulders Inn hotel where guests first enjoyed unrivaled amenities and elevated comfort. Our contemporary guests rooms and suites are elegantly appointed in light hues and soft wood tones, featuring spectacular views of the Majestic Hills Golf Course. Each room has Simmons Beatyrest Mattresses, Keurigs, iron & ironing board, blow dryer, toiletries, and a beatiful view of the golf course. The Boulders Conference Center & Majestic Hills Bar & Grille, and Majestic Hills Golf Course are on site. The Stables of Copper Ridge Venue is a few miles away & several restaurants are within a few miles of our hotel. Guest can enjoy a complimentary hot breakfast, 24 hr coffee, free wifi, a computer station, free fax and copies, laundry facilities, a fitness room, free newspaper daily, and very clean & comfortable rooms. Our friendly and professional staff are at your service 24 hrs a day and will direct you to the many amenities offered at Boulders Inn.